Fig. 1. (A) Overall survival curves according to the pathologic stage. 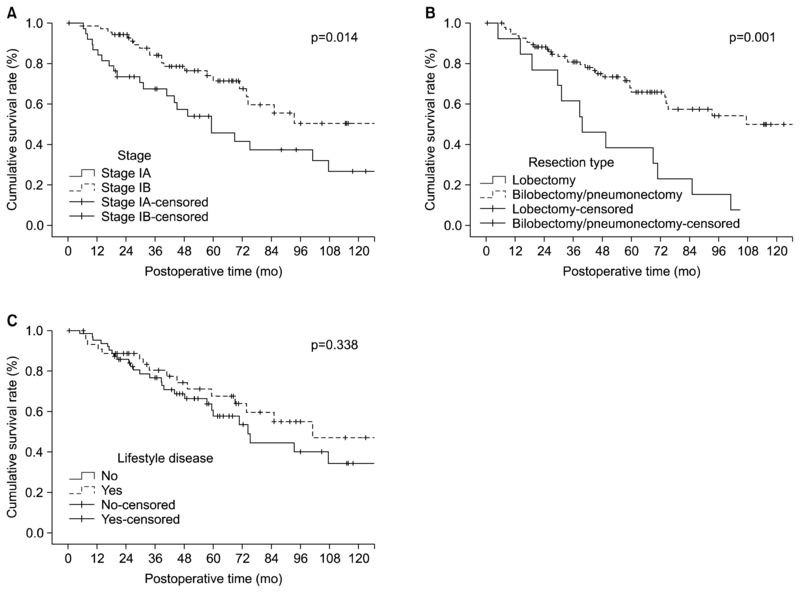 (B) Overall survival curves according to the resection type. (C) Overall survival curves according to the presence of a lifestyle disease.